This post is an excerpt from the study guide which accompanies the “Gaining a Healthy Relationship with Food” seminar. This portion is one element from the appendices section of this seminar. This challenge is real. You are not the only concerned friend or family member to have this experience. By the time an eating disorder has become severe enough to be noticed by others, it has usually generated a set of beliefs that result in thinking, “If you don’t support how I eat, then you don’t support-love me.” That makes starting a meaningful conversation on this subject very difficult, but vitally important. We will start with some general guidance and then examine differences in approach that exist when you’re the parent of a minor who struggles with an eating disorder. The authority a parent has over a child allows for more options, but it does not negate the importance of the matters we’ll discuss first. Seek to Understand: You don’t have to “get it” to be understanding. Starving, binging, excessive exercise, or comfort eating may not make sense to you. That’s okay. You’re frame of reference for an experience is not the standard your friend has to meet. You can gently and patiently ask questions that show you want to understand. Realize, until you show yourself willing to try to understand you firmly establish yourself as an “outsider” to their struggle. Of the resources referenced in this study, the one (in my opinion) best-suited to help you understand the thinking process of someone with anorexia and bulimia is Life without Ed by Jenni Schaefer. Jenni writes in a transparent and humorous first-person style that is very relatable. Don’t Personalize: Parents can be tempted to ask, “What have we done?” out of guilt or as a means to be less confrontational. Friends can phrase things in similar ways. This is unhelpful in three ways. First, it promotes a form of blame-shifting from the beginning that has a propensity to sabotage the likelihood of completing the full journey of recovery. Second, if the rationale is acceptable, it also becomes a criticism of you. This kind of emotional-relational risk is not likely to be engaged in the early stages of recovery. Third, the relational awkwardness created adds to the emotions of the conversation and makes it less likely your friend will engage. Identify Qualified Care Options: When your friend says “yes” to help, you want to already know who the most qualified individuals are in your area. Often the window of willing cooperation can be short, so you don’t want to waste that time seeking a good referral. Begin now compiling that list. You can offer to be a counseling advocate; someone who goes with the individual to counseling for support. Some counselors are more open to this than others. One reason for getting information about the best eating disorder counselors in your area is to know whether this is something they would be open to. That way you don’t offer something that is not viable. Identify Healthy Recovered Individuals: Do you know people who have experienced an eating disorder similar to your friend and are now living a healthy life? Don’t set up a “blind date.” That doesn’t honor your friend’s autonomy. But offer to coordinate an opportunity for them to talk. A conversation with a “real person” who has struggled like they’re struggling can be an important part of becoming willing to seek help. Accept Your Limits: You can offer help. You cannot force your friend to seek help. As soon as you forget this, and you will be tempted to, the dynamics of the conversation will change radically. Avoid power struggles where you try to leverage emotions or facts to coerce change. You will lose. Avoid being a food detective. When evidence is gathered in an intrusive manner it becomes a reason not to change. Don’t debate “thin enough” or “too thin.” Even if you “win” the debate, you will have damaged the relationship and reduced the likelihood your friend will engage with the help you’re encouraging. Don’t Ignore Lying or Stealing: “My eating habits don’t affect you,” can become a Teflon statement when raising concerns to your friend. While it is not completely true, it is true-enough to disarm you in conversation. But when you notice lying or stealing food, that line of offending relationship has been crossed in a way that invites a different type of conversation. These are not “gotcha moments,” because the health of your friend is more important than the offense. But your friend has crossed a line (indicating the struggle is getting worse) that gives you a more legitimate reason (even in their constricted thinking) to talk. Avoid Criticism or Shaming Language: We want to avoid anything that says, “What’s wrong with you?” Instead, we would rather know, “What’s going on?” Even if their school, work, or social performance is declining, that is not the issue and we need to be careful not to frame the conversation in a “you need to be more productive-engaged” way. Our concern is their well-being, not their performance, and that needs to be very clear. Be Concrete and Don’t Use Weak Examples: This is as close as we’ll get to a debate strategy. When presenting your concern, don’t use speculative examples. If you use five solid examples of things that are significantly unhealthy and one speculative example, where is your friend going to focus if they’d rather avoid the issue? The evaluation tool from Step One and forms of impact in Step Three should help you formulate concrete reasons for concern. Health examples tend to be more concrete than emotional or relational changes. Sympathize that Recovery Would be Hard: Make sure your “you can do it” attitude doesn’t come across as “this will be easy.” When that happens, your hope reveals how little you understand. A demeanor that emphasizes “it is worth it” and “we will support you all the way” are much better at communicating realistic hope. Get Professional Medical Help: You have the legal authority and moral responsibility to seek and require help when your child’s health is in danger. Your child will punish you with painful words (e.g., “I hate you”), tantrums, and threats (e.g., “I’ll run away” or “I’ll never talk to you again”). You need to be strong enough to require help while your child is at an age these interventions can be required. However, this should be towards the end of efforts described above and not an ultimatum early in the discussion of this subject. Voluntary engagement with recovery is a large factor in whether recovery will be successful. If Hospitalization Is Recommended, Do It: If a physician or counselor is recommending hospitalization, it is likely because they see physical changes that could be life-threatening. The malnourishment and extreme fatigue from excessive exercise of eating disorders can result in death. Therefore, you should heed these recommendations even if it means upsetting your child. Ask the physician to sit down with you and your child to explain their rationale for their recommendation, so that it is clear why this is happening and that the doctor is not merely serving as your mouthpiece. Be Willing to Participate in Family Counseling If Recommended: If there is any defensiveness in you towards this recommendation, it may be your first point of identifying with the mindset of your child. Being part of the process might mean we were part of the problem. Being part of the problem might mean changing things we don’t want to. But being healthy individuals and a healthy family must take precedence over our preferences. If we want our loved one to seek the help they need, we must model the same humility to seek help that we might also benefit from. This appendix is not a “full proof method” for ensuring your friend or family member will engage with the concerns you have for them. But it is intended to provide guidance on how to allow your concerns to have the best opportunity to be heard. Bathe your efforts in prayer and seek the guidance of people who know you well as apply these materials. 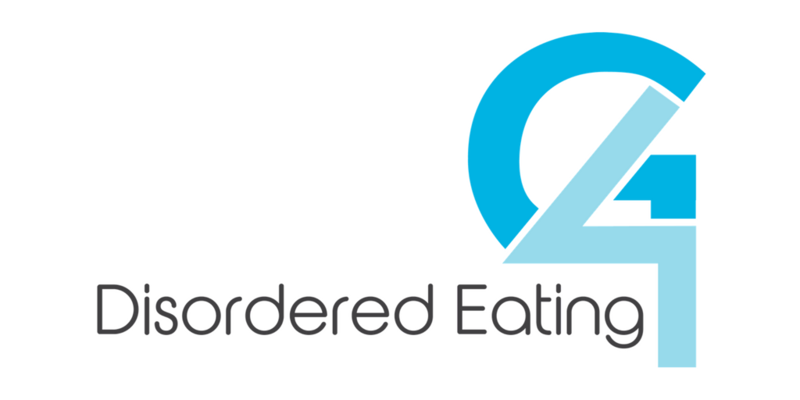 If this post was beneficial for you, then consider read other blogs from my “Favorite Posts on Disordered Eating” post which address other facets of this subject.